The Marrakesh from Salsa has some new updates for this year including new colors, new tubeless ready rims, new tires and a low $1599 price tag (click to enlarge). The Marrakesh from Salsa was released last year and quickly grew into a very popular model for the brand. Touted as a bike for “expedition touring, world travel and cultural exploration”, at its heart is a simple 4130 cromoly frame that is designed to handle heavy loads and long miles. It has been updated for this year with new colors, tubeless ready rims and tan wall Panaracer Pasela tires. The Marrakesh is available with either a drop bar or flat bar and the bike is only available in one build kit – a Shimano Deore 9 speed triple crank drivetrain with SRAM mechanical disc brakes. 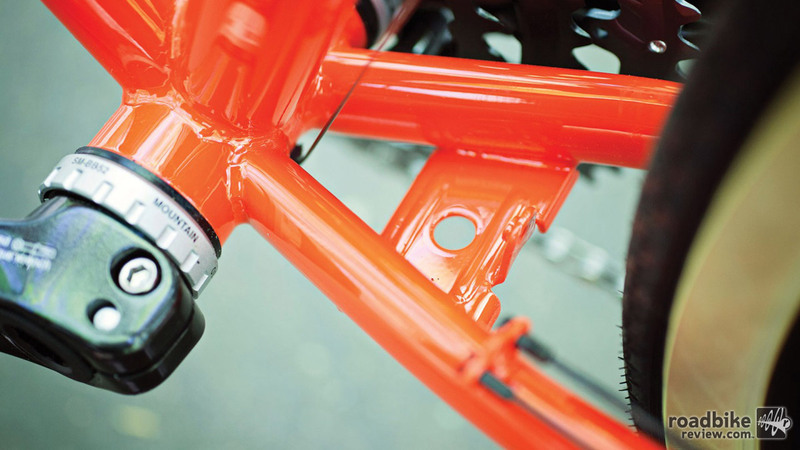 The cromoly frame is mated with a Salsa steel fork with plenty of eyelets and bosses for fenders and rack mounts-a-plenty. 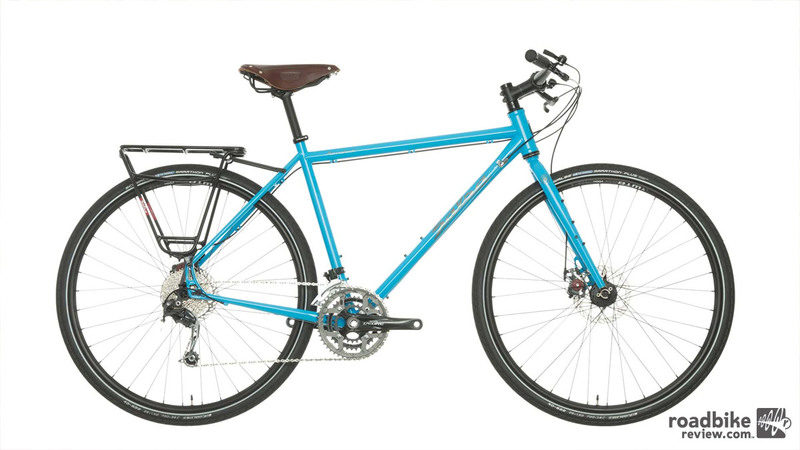 All four versions (two flat bar and two drop bar) include a rear rack for built-in carrying capacity. The finish and attention to detail on this bike are above other offerings at this price point (click to enlarge). 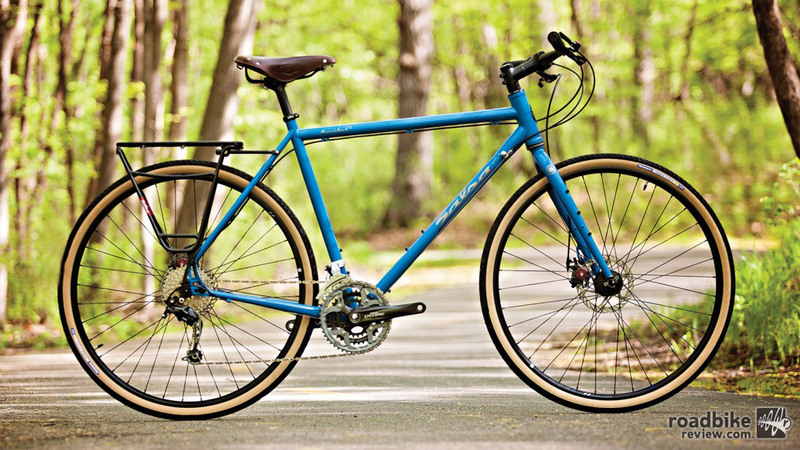 This bike has multiple cargo carrying options, 3 water bottle mounts (5 if you add two to the front fork), Salsa’s own Alternator dropouts for versatility (singlespeed, geared, QR, thru-axle, Rohloff or freehub) and room for 40c tires with mud guards or 2.0″ tires without. Salsa has paid close attention to the geometry changes and different handling characteristics that the different cockpits would have. Designed to be stable and predictable when heavily loaded, the bike remains durable as any good traveling bike should be. Available with either a flat bar or a drop bar, the Shimano 9 speed triple drivetrain offers plenty of gear range (click to enlarge). 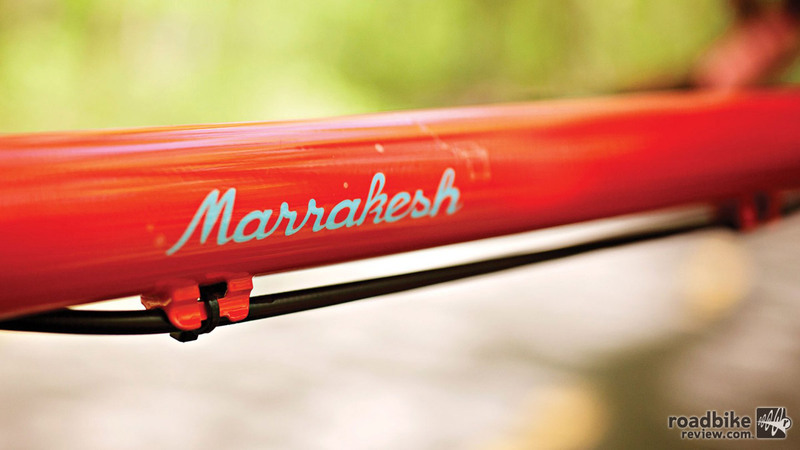 The Marrakesh is available in five frame sizes (XS – XL) and is available from your local Salsa dealer now. If it’s one thing that Salsa knows, it’s bike packing and adventure riding. Okay, so that’s actually two things, but they excel in this arena. Perhaps the best feature of all? The Marrakesh has an MSRP of only $1599 for the complete bike. 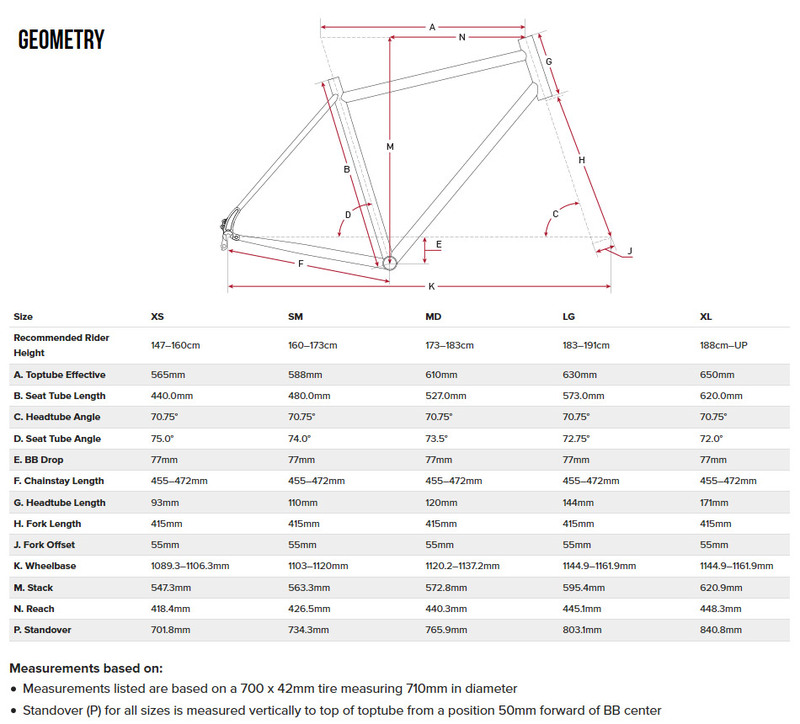 It is also available as a frameset for $650. For more information visit salsacycles.com. The Salsa Cowchipper bars provide plenty of hand placement options for shifting around on those long rides (click to enlarge). 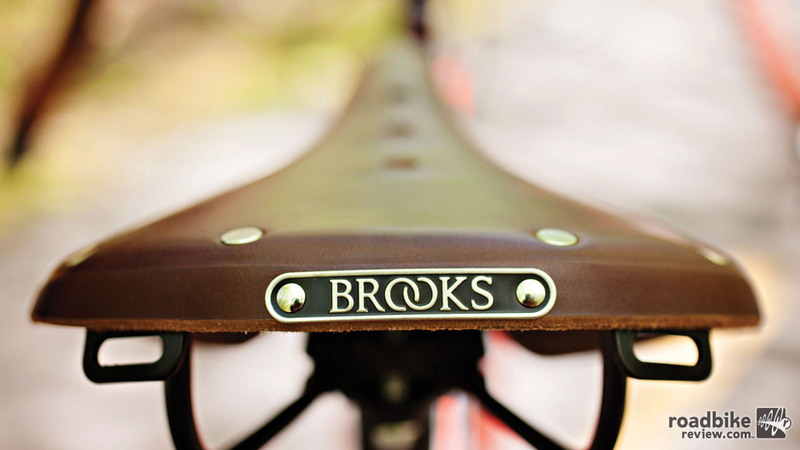 A Brooks B17 saddle is standard fare for the Marrakesh (click to enlarge). 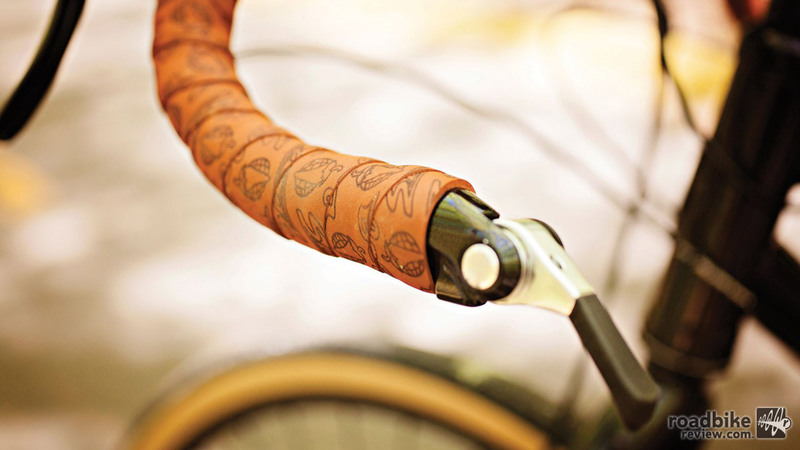 The finish and attention to detail on this bike have to be seen up close to be appreciated. The constellations are a nice touch (click to enlarge). Close-up of the attention to detail that Salsa gives to the Marrakesh (click to enlarge). Salsa’s gel bar tape is a perfect match for the Brooks saddle (click to enlarge). Salsa Marrakesh shown in black with drop bars. Brooks saddle and rear rack included. 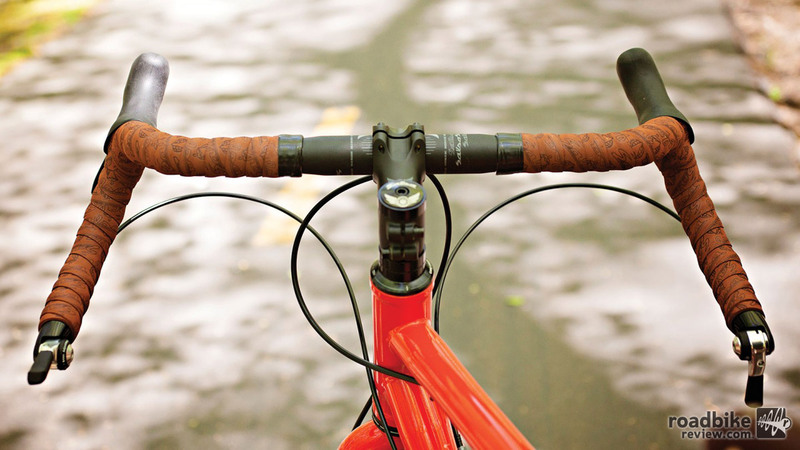 Salsa’s gel bar tape is a perfect match for the Brooks saddle. 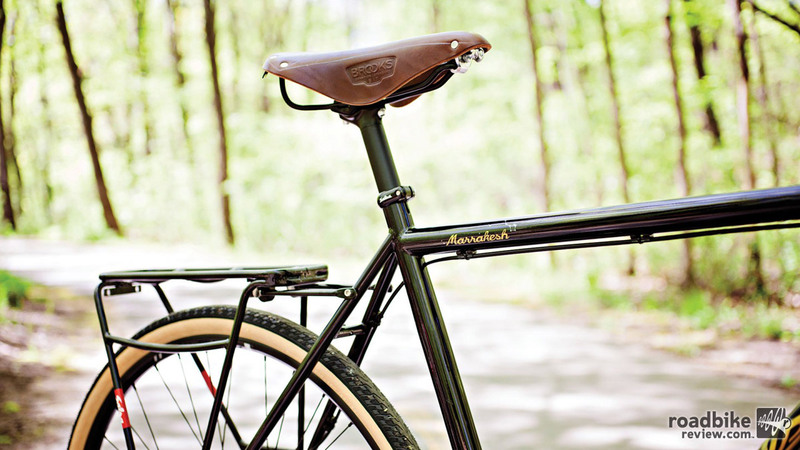 A Brooks B17 saddle is standard fare for the Marrakesh. 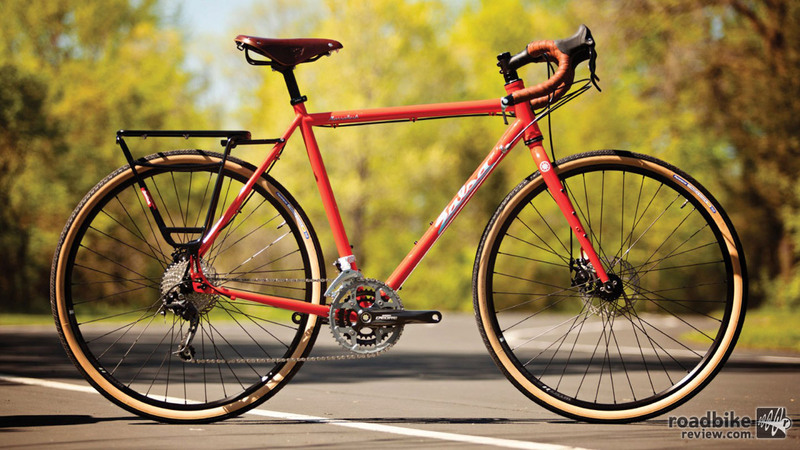 The Marrakesh from Salsa has some new updates for this year including new colors, new tubeless ready rims, new tires and a low $1599 price tag. Close-up of the attention to detail that Salsa gives to the Marrakesh. 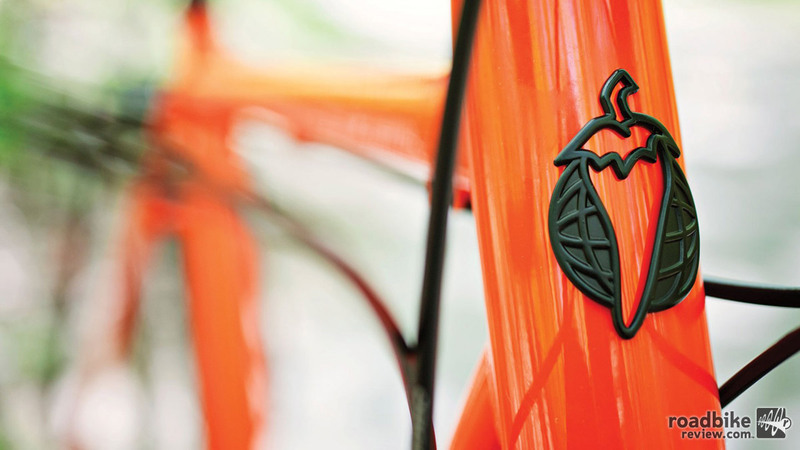 The finish and attention to detail on this bike have to be seen up close to be appreciated. The constellations are a nice touch. The Salsa Cowchipper bars provide plenty of hand placement options for shifting around on those long rides. 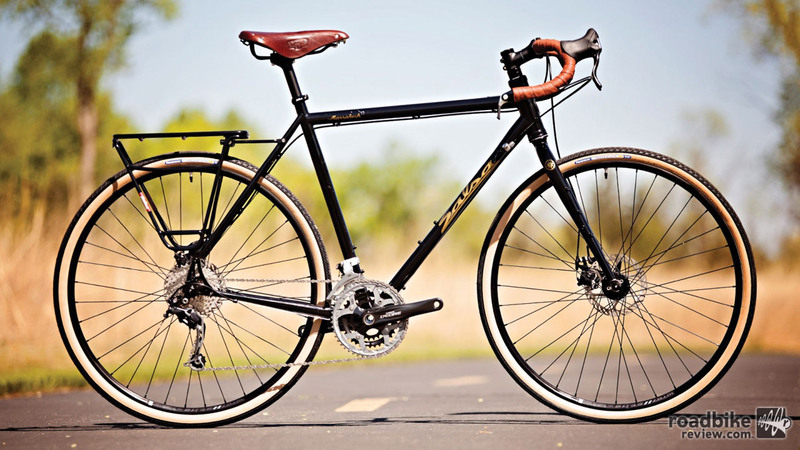 The finish and attention to detail on this bike are above other offerings at the price point. Available with either a flat bar or a drop bar, the Shimano 9 speed triple drivetrain offers plenty of gear range. Salsa Marrakesh shown in light blue with flat bars. That’s a very nice bike for the money. Good job. Salsa.